A tooth is a living structure. The core of the tooth has got a living tissue inside which is called the pulp. This pulp has got a blood supply, lymphatic drainage, which helps the tooth keep white, any injury to these structures can cause pain in the tooth. 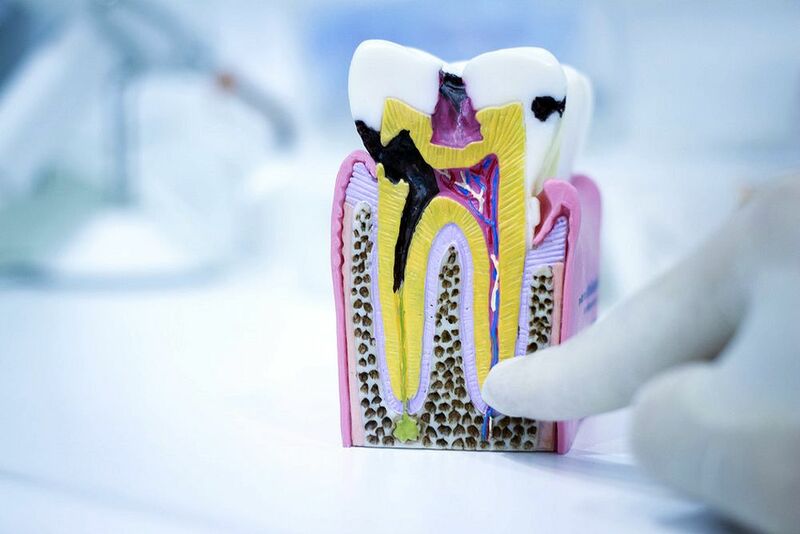 It is important to understand that the tooth is embedded in the bone and if there is any reason for injury around the supporting structure of the tooth, it can also cause pain in the bone area. If there is a decay in the tooth which goes deep to the care area that is there in the center of the tooth, it can cause pain. ► See also: ENDODONTICS : What is a root canal treatment procedure? Oral pain that typically requires a root canal includes lingering hot and cold sensitivity and biting sensitivity that never goes way. Learn about symptoms of pain that are often treated by root canals with tips from a dentist in this free video on dental health and oral hygiene.